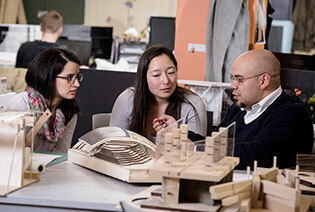 The Faculty of Environmental Design occupies a distinct place of design expertise within a region that provides boundless opportunity for design innovation, in an institution dedicated to Eyes High ambitions. 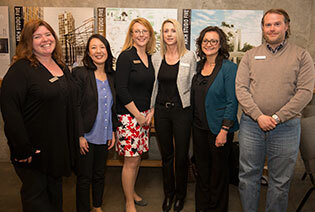 Challenging the status quo, providing experiential learning, and creating deep connections with community embolden students, faculty and partners to declare ourselves one of the best design schools, in North America. 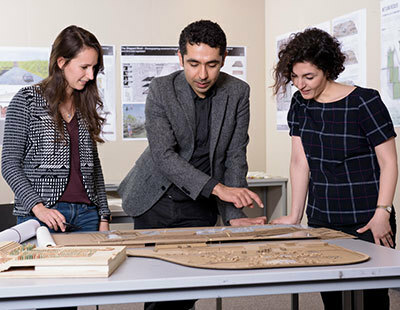 Through our graduate degrees in Architecture, Landscape Architecture and Planning, together with our Master of Environmental Design and PhD research degrees, we provide professional education informed by research, and research degrees informed by practice. 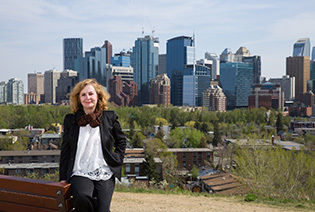 Collectively, we provide a distinct interdisciplinary approach, well-suited to practice in a complex urbanizing world. 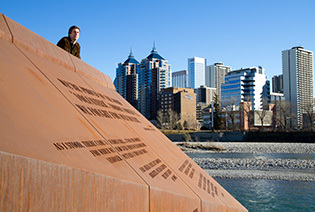 We believe design must engage multiple, and often conflicting, environmental contexts. These include the built and natural, the historical and technological, the cultural and social, and the physical and digital. This environmental Design approach to architecture, landscape architecture, and planning is interdisciplinary and entrepreneurial. We do more than teach and research about policies and practice – we explore and push the boundaries on the power of great design and citizenship, making a lasting, positive impact. Dedication to a respectful, creative, productive and empowering work and learning environment. 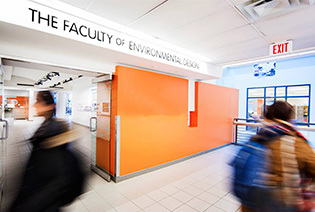 The Faculty of Environmental Design comprises more than 300 students and 28 faculty members across three professional degree programs and research degrees at master and phd levels. Below is a link to an overview of each of these programs.